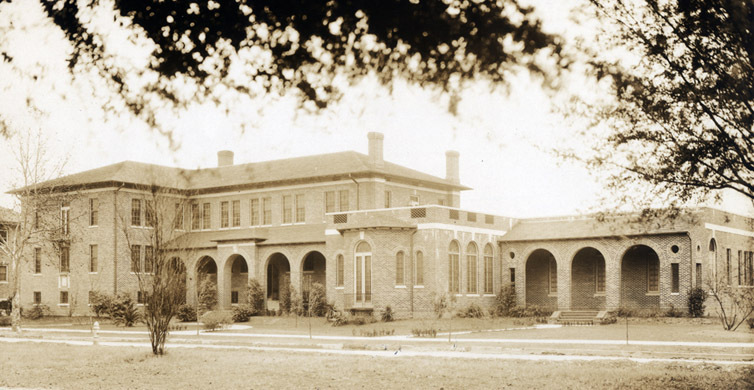 The construction of Doris Hall was followed in 1928 by the construction of a larger dormitory, Warren Newcomb House. 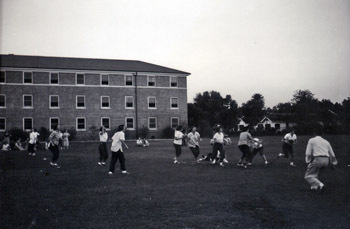 Warren House is named for the husband of Josephine Louise, and in 1952, an additional wing was successfully added, expanding the dorm to house around 178 students, most of whom were sophomores and juniors. Warren in presently a coed dorm for sophomores and juniors, and is also home to a handful of freshmen males. Please proceed to Dixon Hall, campus building numbers 68-70. 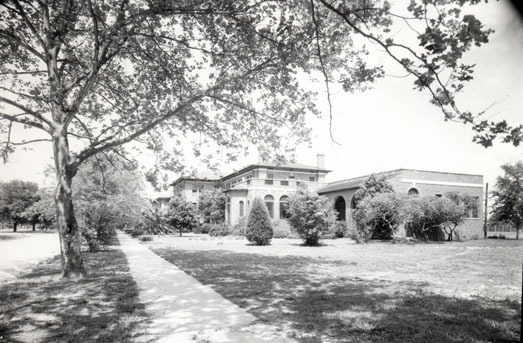 Newcomb College Institute, Lauren Dean, “Warren House,” New Orleans Historical, accessed April 24, 2019, https://neworleanshistorical.org/items/show/172. Coyle, Georgen. "Letter to Ms. Mary Elizabeth Jackson Carlisle About the Myra Claire Rogers Chapel." Print. Dixon, Brandt V.B. "A Brief History of H. Sophie Newcomb Memorial College 1887-1919: A Personal Reminiscence." New Orleans: Hauser Printing Company. 1928.Dyer, John P. "Tulane: The Biography of a University 1834-1965." New York: Harper and Row. 1966.Kingsley, Karen. "Designing for Women: The Architecture of Newcomb College." 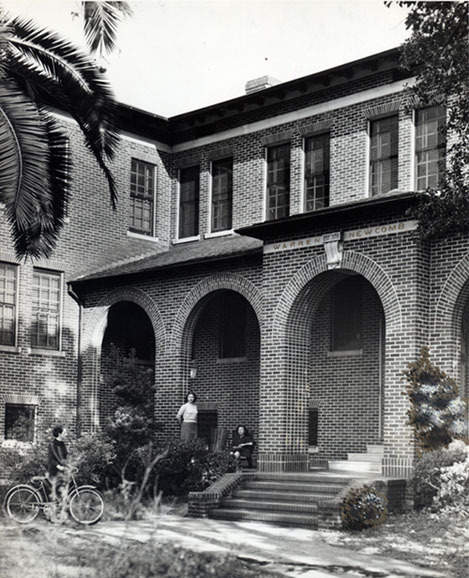 Newcomb College, 1886-2006: Higher Education for Women in New Orleans. Ed. Susan Tucker and Ed. Beth Willinger. Baton Rouge: Louisiana State University Press, 2012. 109. Print. "Report of the President of the University to the Administration of the Tulane Educational Fund." 10 December 1958, Print.Salm, Josephine. "Old Doris Residence Hall Still Awaits Renovation." Tulane Hullabaloo [New Orleans] 03 March 2000, Print. Travis, Mary Ann. "Bloomers, Barracudas, and Basquette: When Newcomb Got Physical." Tulanian. Spring 1996. Print. Tucker, Susan, and Beth Willinger. 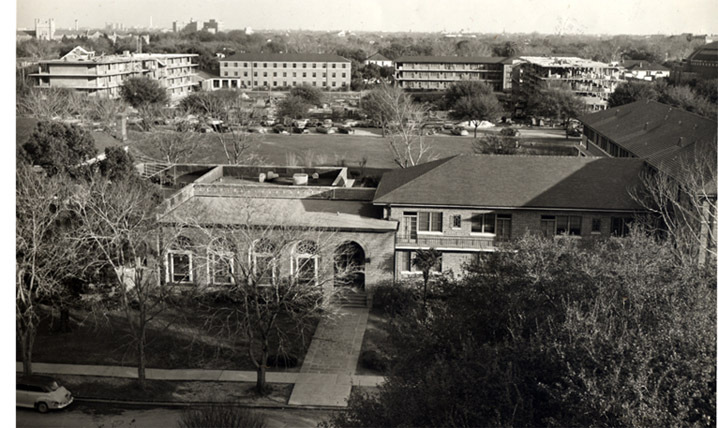 "Newcomb College, 1886-2006: Higher Education for Women in New Orleans." Baton Rouge: Louisiana State University Press, 2012. Print.All images are courtesy of the Newcomb College Institute's Archives Department.